When Microsoft announced its Xbox One and Xbox 360 consoles had won exclusive rights to the next Tomb Raider game, it was heralded as a lift that may help the firm reel in the PS4's next-gen lead. However, it appears Microsoft's dibs on Rise of the Tomb Raider, expected during the 2015 holiday season, won't be permanent. Speaking to Eurogamer, Xbox chief Phil Spencer confirmed Microsoft's exclusive was for 'a duration' rather than for entire life-cycle of Square Enix's next Lara Croft adventure. 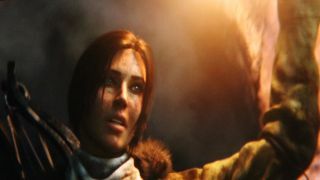 The admission, which was expected to a certain degree, opens the door for Rise of the Tomb Raider to come to the Sony PS3, PS4 and Windows once the as-yet-undetermined period of exclusivity has ended. Spencer said: "Yes, the deal has a duration. I didn't buy it. I don't own the franchise. He had earlier laid it out thus: "I have Tomb Raider shipping next holiday exclusively on Xbox. It is Xbox 360 and Xbox One. I'm not trying to fake anybody out in terms of where this thing is. What they do with the franchise in the long run is not mine. I don't control it. So all I can talk about is the deal I have. I don't know where else Tomb Raider goes." Spencer refused to confirm how long the exclusivity will last, but for those fans accusing Tomb Raider publisher Square Enix and developer Crystal Dynamics of selling out to Microsoft, you can now rest easy. It seems the next installment of Tomb Raider will reach your gaming system ... eventually.